Are you fond of transformers? Do you like things to be practical and long-lasting? 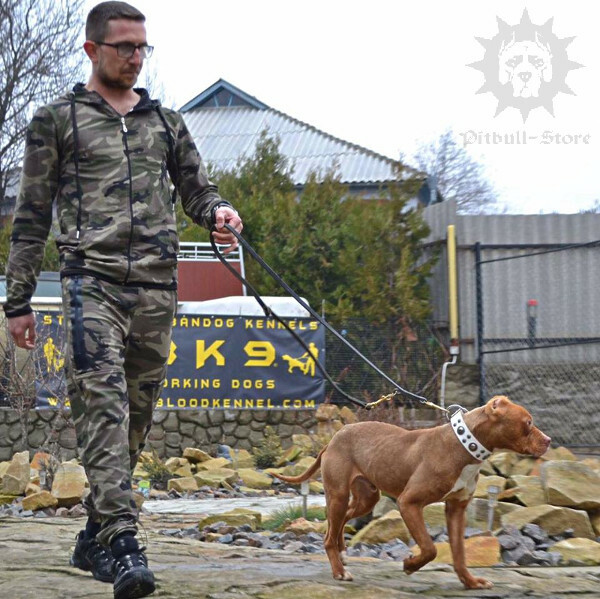 This multi function dog lead is a godsend for active owners and their Pitbulls or Staffies! 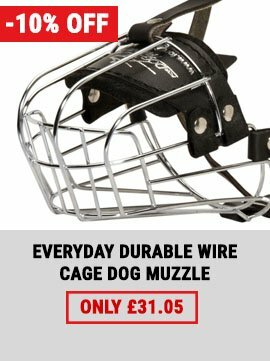 Just imagine - 6 modes in one Staffy dog lead! For walks with one dog you can make a loop for your hand using snap hook and nearest stitched O-ring. But if you have two Pitbulls you have no need to buy another double dog lead! Attach each snap hook to your pets' collars or harnesses and grasp the lead in the middle. Using floating brass ring you can tether your pet or make a hands free lead. 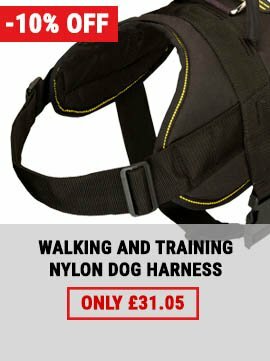 See the video below to learn how to use this multi function dog lead. 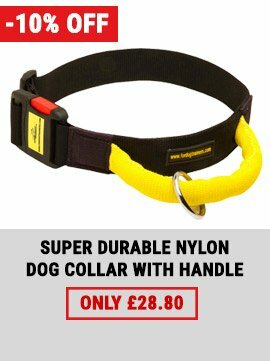 We select only premium quality materials to produce this multi function dog lead and our other dog equipment. 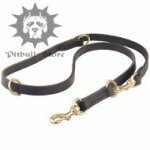 This Staffy dog lead is made of full grain genuine leather and equipped with corrosion-proof fittings. 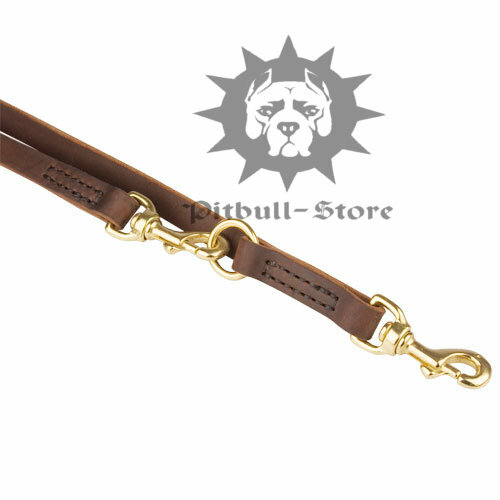 It guarantees this double dog lead will serve you and your Pitbull for all its life and will remain its perfect look. 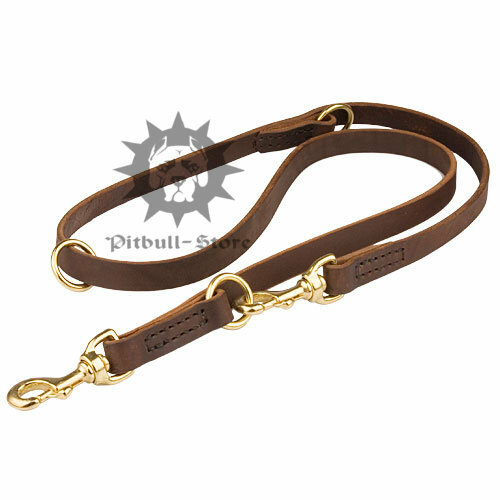 See also 13 mm wide Multi Function Dog Lead for your beloved Staffy or Pitbull. 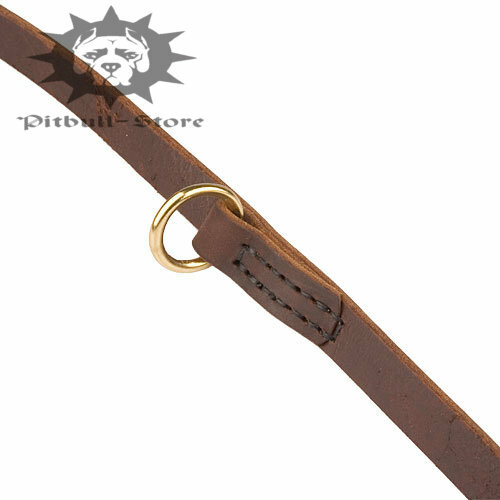 Choose a matching Leather Dog Collar in our dog store. 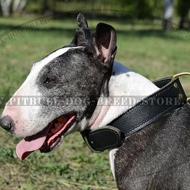 Read our review Retractable Leash VS Usual Lead and choose the best for your pet. It is one of the best leads we ever had. It is always pleasure working with you, Julia, thanks. Our latest order is a repeat of a previous one. We are very impressed with strength and quality of the first leash and we decided to purchase a second one to connect it with the first lead and to extend the available length.